If you are looking for a hardworking, dedicated real estate professional, committed to the satisfaction of his clients, you have come to the right place. Whether buying a new home or selling your existing home, please don't hesitate to contact me for a no-cost, no-obligation, consultation on your Florida Real Estate needs. 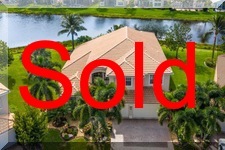 Although I specialize in 55 and Over (Active Adult) communities, I have extensive knowledge of the entire Real Estate market in Boynton Beach, Lake Worth, Delray Beach, Boca Raton, Wellington and West Palm Beach. As an 55 and Over community specialist I am familiar with the needs of clients over 55 years of age looking for a second home or a place to retire. 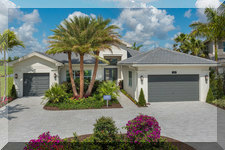 The 55 and Over community concept has become very popular over the past few years. 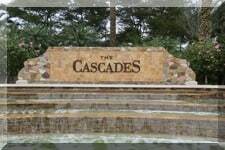 Residents get the best of both worlds, country club lifestyle without the high fees generally associated with country clubs. 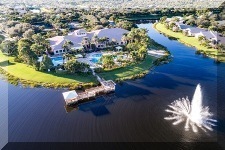 The majority of 55 and Over communities are located in Boynton Beach, followed by Lake Worth and Delray Beach. 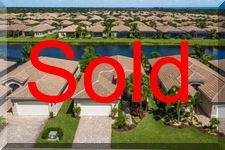 Featured communities include: Valencia Pointe, Valencia Cove, Valencia Bay, Valencia Reserve, Valencia Palms, Valencia Shores, Valencia Falls, Bellaggio, Villaggio, Valencia Isles, Valencia Lakes, The Cascades, Avalon Estates, Venetian Isles and many more. SENSITIVE RESPONSE TO YOUR NEEDS AND OBJECTIVES. Thank you for your assistance with our recent house sale. You did everything possible to make it painless. We are grateful for your personal attention, extensive knowledge and really exceptional professional service from start to finish. One of the wisest decisions that I have ever made was putting the responsibility of selling my Valencia Pointe home in your capable hands. Thank you for your patience and honesty throughout the process. You are a very special person! We met Jeff by chance while searching on line for a 55 and over community in the Boynton Beach area. It didn't take us long for us to realize that we hit the jackpot in a real estate agent. Jeff listened to what we wanted, showed us a variety of available properties, and helped us narrow our choice to Valencia Pointe. He was with us every step of the way during out home purchase. He made the entire process flow smoothly and even though we were a thousand miles away, he made the construction phase so exciting with weekly photo updates. What more can we say? Jeff was a delight from beginning to end and we loved working with him! 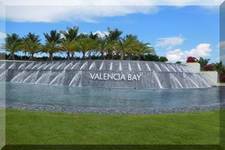 We want to express our sincere thanks and appreciation for your conscientious effort in helping us make the purchase of our new home at Valencia Reserve progress as smoothly as possible. Your patience, reliability, and experience eased our way through.....every step, from initially helping us choose the model and lot number in January, to our very important and exciting closing date in August. Between those very busy and decisive months you were also very helpful, offering your knowledge and expertise, and making practical and useful suggestions concerning options to include in our new home. We will most definitely recommend you to our friends who will be house hunting in the near future. We want to thank you for all the effort you expended in helping us find a home. 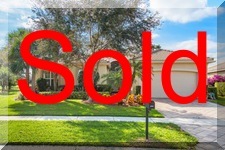 Throughout the process you were the most professional, knowledgeable and organized realtor that we have ever met. Additionally we want to thank you for taking an extraordinary amount of time to ensure that we were comfortable in our decision and then helped us through the closing process. Thanks again for all you help. Jeff is by far and away the best real estate agent we have ever had. him more highly to anyone who is looking to build or buy a house. 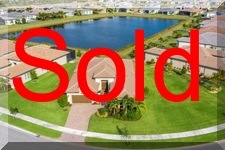 Thank you for all your help and assistance in selling our Valencia Pointe home. It was a pleasure working with you. If any of our friends need realtor assistance, we will highly recommend you. There are not enough words to express how wonderful Jeff Katz has been throughout our recent home buying experience.....He took us to see many homes in the area, some re-sales and some that were new.....Jeff was patient with us and NEVER pushed us towards anything....We decided to purchase a new home at Valencia Reserve. In conclusion, I would recommend Jeff to everyone who is looking for a home in the area. We really want to thank you for all that you have done for us in our purchase of a Home in Valencia Reserve We couldn't imagine how we could build a house and live 1100 miles away from Boynton Beach.Your advice in making choices, from the lot we chose, to the types of lighting in certain areas were so valuable.We know that we would have made some very serious mistakes if it were not for your help.....The photographs you sent us helped us feel that we were really involved in building our house. We would advise anyone considering a new house to have you help them. So much more than a broker, Jeff will not only guide you to the right property, he'll be right by your side from contract to closing. As Northerners relocating to the Boynton Beach, we needed someone who could be our eyes & ears while our home was being built. Jeff attended our meetings with the builder, made many helpful suggestions, and even sent us weekly photos of the progress of our home. How exciting it was to sip Sunday morning coffee while unwrapping our highly anticipated weekly gift; the latest web pictures of our future home as it became a reality. 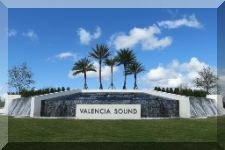 If we had it to do all over again, we wouldn't think of calling anyone else..
We want to thank you from the bottom of our hearts for all you've done for us during the purchase of our new home in Valencia Reserve. "Above and beyond" doesn't begin to describe the many things you took care of for us and the patience you showed no matter what we asked of you. Your professionalism is an extension of your character as a caring, accessible and involved person. You made it very clear that you were interested in the best housing "match" for us and did everything possible to help us achieve that goal. We know that we were more important to you than the sale of a house, a quality that is almost incredible in a broker. You spent hours of your own time sending us building photographs, following up on an assortment of concerns, recommending the right people to help us and constant "hand-holding." Over the years we've dealt with many real estate professionals in New York City, Long Island, Georgia and Florida. You stand head and shoulders above them all! My husband I live in Maryland, and we had been looking for a house in Florida for a few years, but we hadn't found any house that really appealed to us. Jeff asked us to tell him what our "perfect house would be in the best of all possible worlds," and we gave him the specifications and our budget, thinking that there would be no way that we could afford a house with a water view and all the other things that we really wanted. However, Jeff found a perfect house for us at beautiful Bellaggio.... Without Jeff's attention to details and his support, buying this house would have been difficult for us. He is knowledgeable, professional, ethical, friendly, and calm, traits one wants in a realtor but rarely finds. We couldn't be happier, and we tell all our friends up North to contact Jeff...! Our experiences with Jeff during the purchase of our new home at Valencia Pointe have been truly wonderful - and Jeff continues to work with us today even though we are still some months away from closing on our new home. We thought, and had been advised by others, that since G.L Homes had their own sales associates and design staff the need for a realtor was unnecessary if we were going to buy in Valencia Pointe. Nothing was further from the truth - and in fact the sales staff and design consultants appreciated working with us and having Jeff with us during the process. Jeff spent all the time that was necessary during our home purchase experience including our selections of the options and upgrades and advising us as to what would work and what wouldn't because of Jeff's familiarity with all of the Valencia Pointe models. Jeff is still working with us today and has even set up a website for us so we can actually see the progress of our new home as it is being constructed. We can honestly say that Jeff has been as good as his initial promise to us - his services don't end with the purchase of your home. We cannot begin to express our heartfelt thanks to you for all you have done for us in purchasing our new home at Valencia Reserve.We were so impressed with how much time you spent helping us with everything and anything, answering all our concerns, each and every time. You do everything that you promise and so much more. 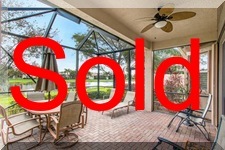 We want to thank you for all of your help with our purchase at Valencia Pointe. I don't think the experience would have gone as smooth without all of your help. We appreciate the fact you were with us every step of the way. Picking the upgrades, the lot, and just figuring out what we needed would have been next to impossible without you. Your knowledge of the area and the community was invaluable. Because we aren't living in Florida making decisions long distance could have been a nightmare. Your weekly pictures of the progress and the fact that we could call if we had any concerns and you were so willing to handle any problems. When you put us in touch with the contractors to handle the extras that we didn't do initially our experience was fantastic. You have helped us save money and get the home that we really wanted. We wish you nothing but success! You laid the groundwork for us to work with the sales department and were supportive of all our issues and concerns. We have felt we've had a son looking out for us in Florida during the construction phase and we look forward to your weekly updates. Without your counsel and assistance, our stomachs would have been upset and nervous. As a licensed broker in Illinois and Attorney in the area of Real Estate I have worked with thousands of individuals and firms, and rank you at the top. 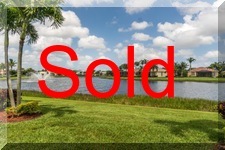 Jeff, sold us our home in Valencia Pointe, that is being built. The home did not cost us anymore by using a Realtor and he actually saved us money. He has been updating us every week with pictures of the house since we are in NY. My husband and I would highly recommend Jeff. He is professional honest and one of the best. 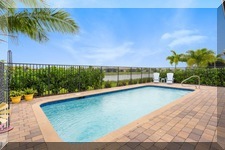 We went on this site a year ago when we knew that we wanted to purchase a home on the east coast of Florida. Jeff quickly contacted us, and it has been the most rewarding experience ever since. Jeff has been wonderful to deal with from our first contact, to the present moment. 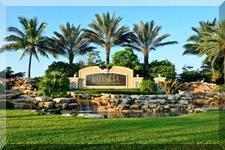 Jeff takes a personal interest in every aspect of buying a home in the 55 and over community. He showed us every home that met the criteria we were looking for during our search, gave us wonderful advice when we narrowed our search, helped us profusely during the negotiating process, went with us during the pre dry wall walk through, and has been invaluable to us during this whole process. If we had to put into one sentence how we feel about Jeff, it would be to say that he truly cares, and does everything he can to make this whole process as painless and rewarding as it can possibly be. We can't thank you enough for all your help in finding us our fabulous new home! 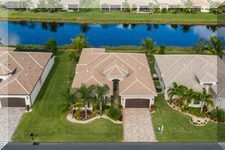 With so many 55+ Communities to choose from in the Palm Beach County area, we wanted a realtor who would listen to our wish list and understand the kind of lifestyle we were looking for, so we could narrow our search. You made it easy. Your input was very much appreciated and your knowledge sealed the deal! 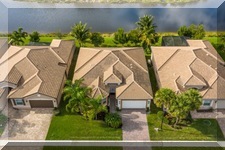 Our beautiful home in Villaggio was the perfect match for us and Lake Worth was the perfect area! We are close to everything and yet it still feels like we're living in a resort. So thank you again for making our dream come true. Thank you for the excellent attention and service. As you know we were out of state and relied on you to coordinate and manage the whole process. 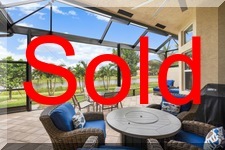 Who ever said that buying real estate is not a pleasant experience has not worked with you as their real estate agent. 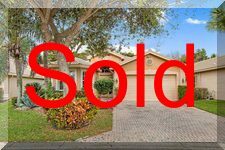 The professional help Jeffrey Katz provided us with the transition between selling one house and moving into another was impressive, but even more so, Jeffrey's reliability to always communicate to me what was transpiring throughout the transaction was greatly appreciated. Thank you again for your calm, reassuring and knowledgeable personality-now we just need the name of your yoga master and a good cleaning lady! Thanks again for all your time, caring and instant responses. We will always be recommending you. 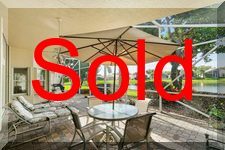 We have listed and sold six homes over the years and by far our experience with you has been the most professional and satisfying. Even though we were far removed in miles from the sale property, you never ceased to update us and make sure that we were informed with detail on all relevant information. Atlantic Grand - 9103 Clearhill Rd. Alexandra - 10650 Regatta Ridge Rd. Pamplona Grand - 7110 Great Falls Cir. Coral - 6608 Lucaya Ave.
Mediterranean - 7379 Tonga Ct.